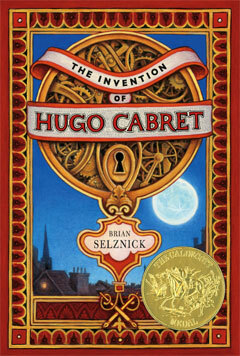 Hugo is Martin Scorsese’s adaptation of Brian Selznick’s The Invention of Hugo Cabret which I reviewed a few months ago. The story is set in Paris in the early 30s and it follows Hugo Cabret, an orphaned boy who lives behind the walls of a Parisian train station, apprenticing as the station’s clock keeper with his uncle. When the uncle goes missing, Hugo has no choice but to keep tending to the clocks, pretending he is still around in order to have a place to live. Hugo has two treasured possessions: his late father’s broken automaton, rescued from the ruins of an old museum and the notebook that contains directions on how to fix it. Hugo believes that once fixed, the automaton will relay a message from his father and all of his hopes and dreams rely heavily on this belief. In order to fix the automaton he steals the small pieces which are needed to put it back together from the toy booth at the station. One day he is caught in flagrante delicto by the old man who owns the booth, starting a relationship with him (and with his goddaughter Isabelle) which will change their lives forever. Having said that, and without spoiling how the different threads combine, The Invention of Hugo Cabret is at its core a story about early cinema, about the work of one of the first filmmakers Georges Méliès, and the beginning of the movies. I will just start by saying that the movie is a very competent adaptation of the book and I would guess that those who loved the book will be happy with the movie. After all, The Invention of Hugo Cabret is a book that was born to be made into a movie. Of its 533 pages, 284 are pictures – original illustrations as well as real photographs from that time – and the book is almost a movie storyboard. I don’t mean that as a derogatory comment at all, as this is part of what made The Invention of Hugo Cabret so good especially considering that fundamentally the book is a love letter to early cinema. As such, the book is incredibly cinematic, an experience that is embodied and improved upon in the film – there is nothing better than cinema to exalt cinema and how truly magical it can be. The book relates the reactions of those early audiences, explores the closeness between magicians and filmmakers and how affecting and life-changing movies can be. The movie shows those things. And as a movie- lover, every scene in Hugo about early movies and how they were made were amazing, beautiful and incredibly emotional. Unfortunately I can’t say that the other aspects of the movie were equally as effective. In truth, I think that the book’s greatest flaws were also translate in a way to the big screen. When I read the book I thought the prose was incredibly simplistic and the characters under-developed. I think the movie had some of the cheesiest lines of dialogue I’ve heard in a while and the kids’ acting was extremely forced. I found myself immune to Asa’s charms. Asa Butterfield as Hugo was ok but tended to rely a lot on blank-faces and huge puppy-dog eyes and Chloe Moretz was extremely grating and cringe-worthy with her fake-British accent. Speaking of which, and definitely going into nitpicking territory here, I am puzzled by the casting choices: the movie is set in Paris, it is about French people and yet the actors chosen are all British (apart from Chloe Moretz). I feel like I should state the obvious: British English is not French. Before you think of me as the Grinch Who Stole the Joy of Hugo and pin me for a heartless creature, let me say that I did love – a lot – the parts of the film that were truly magical. I loved not only everything about early cinema, especially how the special-effects were done but I also loved all the adult actors in the movie and their secondary storylines which, alongside the superb cinematography, reminded me a lot of Amelie. 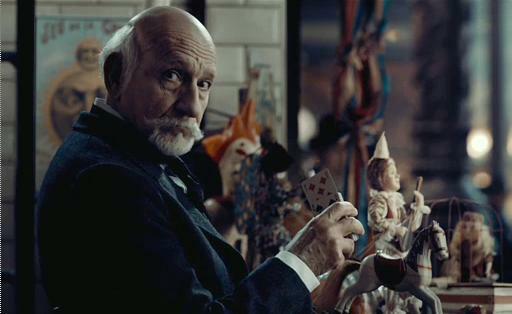 The kids and their storyline might not have moved me but every single scene with Ben Kingsley and Helen McCrory (playing husband and wife) are basically Oscar-worthy and ultimately what put Hugo into definite Very Good territory for me. Then again, that is my usual reaction to Ben Kingsley’s acting. 1 I want to give him Oscars and ALL THE AWARDS every time he is on screen. 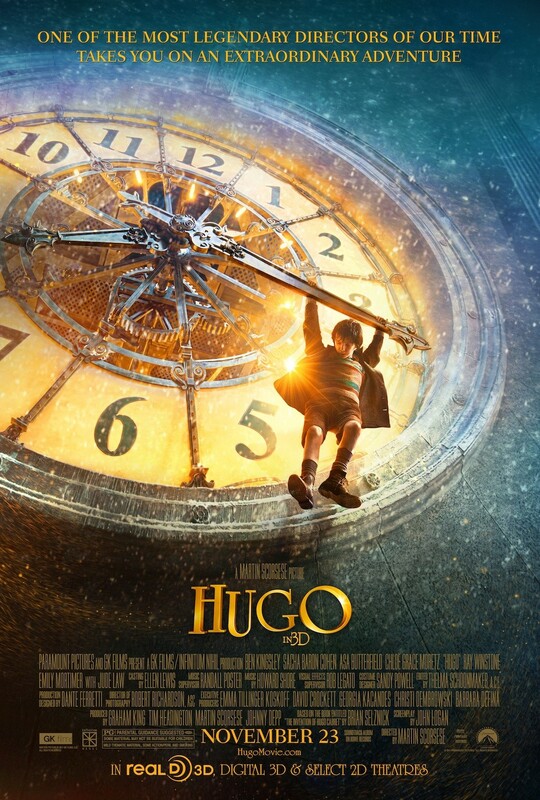 It is no different in Hugo. In the end, I felt about the movie exactly how I felt about the book: both had wonderful, magical moments but they didn’t have that extra something, that something that I can’t often name but which would have made them truly unforgettable. 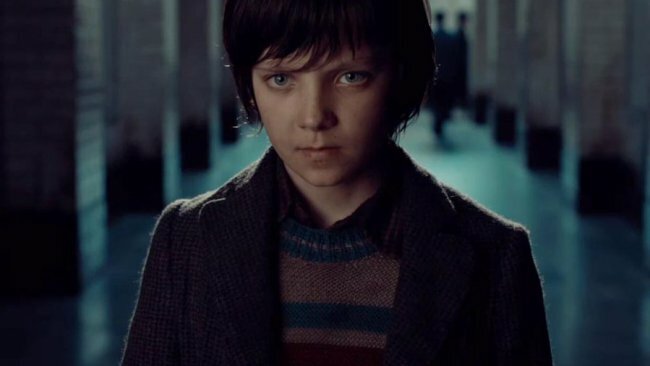 I hear Asa Butterfield is set to play Ender in the film adaptation of ENDER’S GAME. I hope he develops a whole lot of acting skills beyond puppy-dog eyes, and quick. I’ve heard that the Oscar for best movie this year will come down to Hugo and The Artist. Should be interesting to see if Hugo does win. This is the one movie I want to see–and mostly because the little bits of Ben Kingsley and Jude Law you see in the trailer online. Thank you so much for the review, it helps a lot! I enjoyed the movie, haven’t read the book. But agreed, the kids’ acting was the weak point. Another example of a Brit cast playing a french people is the miniseries The Impressionists. Quirky but worked for me then, too. I made the giant mistake of seeing this in 3D. Eesh. Hubs fell asleep because 3D films tend to be much darker than normal films, and this was a pretty dang dark film to begin with. That, and, well he didn’t really enjoy it. WASTE OF $8, AMIRIGHT. But! Man it was like Scorsese was out to make the most expensive & propful movie in the world. It was glamorous and beautiful and fascinating in that way. Everything felt a bit larger than life, but still retained that bit of wonder that I felt in the book. And for that I enjoyed the movie. Yeah, I didn’t get the British part either.